Last week, as the bright lights descended upon the crescent city, New Orleans for the uninitiated, the word “Equality” became the battle cry for athletes, actors, politicians, and regular folk. This would be @Nike’s stamp on #NBAAllStar weekend. As social media began to light up with veiled pictures of the aforementioned, underlined by the iconic swoosh and the word equality, I began to wonder what was all the fervor about, but in the moment, I realized that one of the most recognizable brands in the world was still conflating #equality and #equity. This was evident with their slogan, “The ball should bounce the same for everyone”. For the record, equality means that everyone is given the same tool to succeed, starting at the same point. Simply, it’s giving a 3-year-old and a 9-year-old size 10 shoes and a basketball and telling them to go shoot hoops on a 10ft goal. You tell me what’s wrong with that picture? 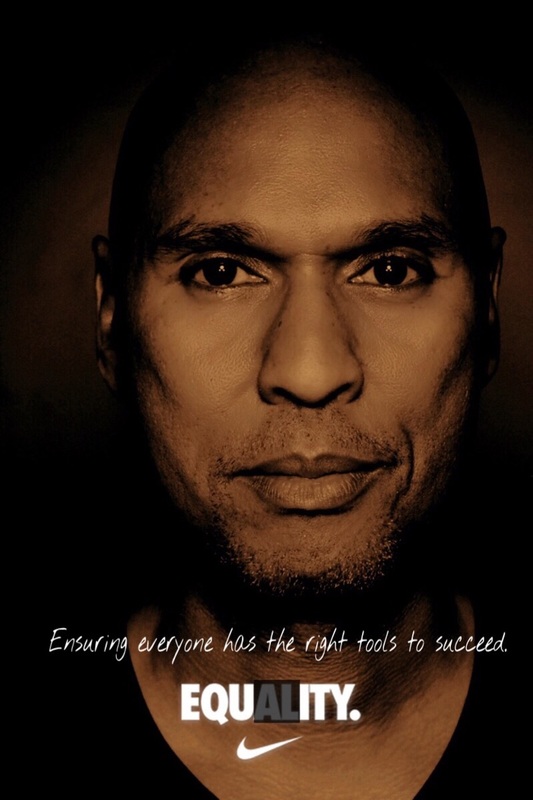 Equity on the other hand supposes that each of us needs the right tools at the right time to thrive. Thus, in my previous analogy, the 3-year-old would have shoes that fit and the right size ball, assuming the 9-year-old wore a size 10 shoe. This would continue to foster his or her love for the game because the chance of success would be far greater when given the right tools instead of the same tools as everyone else. I applaud @Nike for using its financial and political currency to continue a national conversation that needs to be kept in the forefront of the frontal lobes of every person around the world, but I hope that @Nike did not chose the easy way out because #equity does not have the word credibility as #equality. In today’s world, starting at the same point does not guarantee the ability to thrive, particularly in world full of inequities. Yes, the ball should bounce the same for everyone, but at each stage of life, the ball may need to look and feel different in order to craft the necessary scenarios for success. I hope as @Nike, @Reebok, @Adidas, @UnderArmour, or any other major organization looks to hone their messages on diversity, equity, and inclusion, they chose the revolutionary approach instead of the one that fits easily into their marketing strategy.